Want to keep up with happenings at the diocese? You can subscribe to “Please Note,” a weekly email from the Episcopal Diocese of North Carolina. 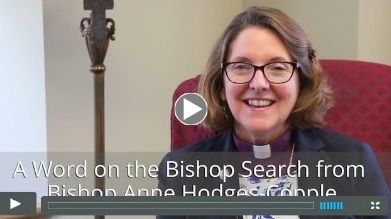 Click HERE for the Aug 17, 2016 edition of Please Note, featuring Bishop Anne’s personal decision concerning the bishop search. Click HERE to subscribe to Please Note.